I might have made my son's month this past weekend! Ben is used to getting to do a lot of fun things as a blogger's kid, but not only was I able to treat him to the Harlem Globetrotters, but with the husband and big sister having other plans, he was able to invite two of his best friends to check out the game with us here in Colorado Springs. Most of my Harlem Globetrotter knowledge actually comes from Scooby Doo (am I dating myself yet? ), but from what I could tell, it was perfect for a 9 year old boy or three. I picked up Ben's buddies and off we went to see the game. The overall plot is the Harlem Globetrotters taking on their rival, the Washington Generals. 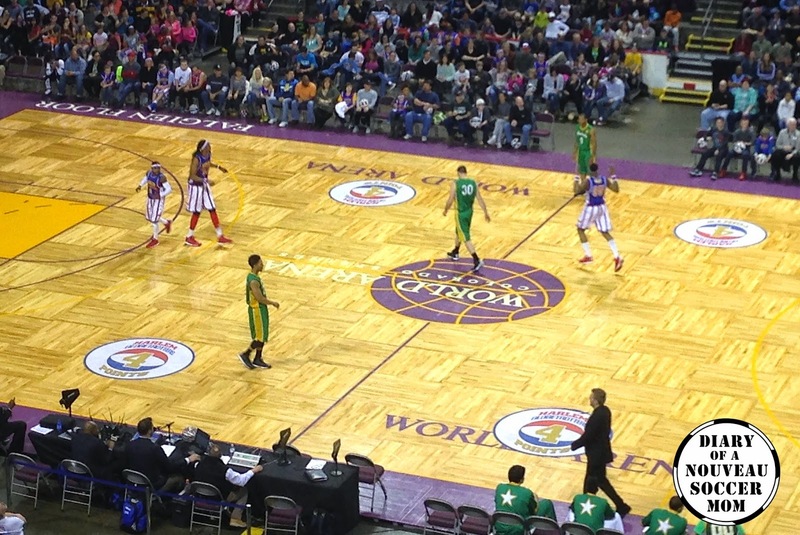 While the Globetrotters play hard, the Generals are a bit prone to trying to win at any cost, including cheating. They're coached by a former Washington General who might just have a few extra tricks up his sleeve. The boys loved the storyline and the basketball plays. All three of them couldn't stop talking about the 4 point shots, the fancy ball tricks, or how the players made it look so easy! 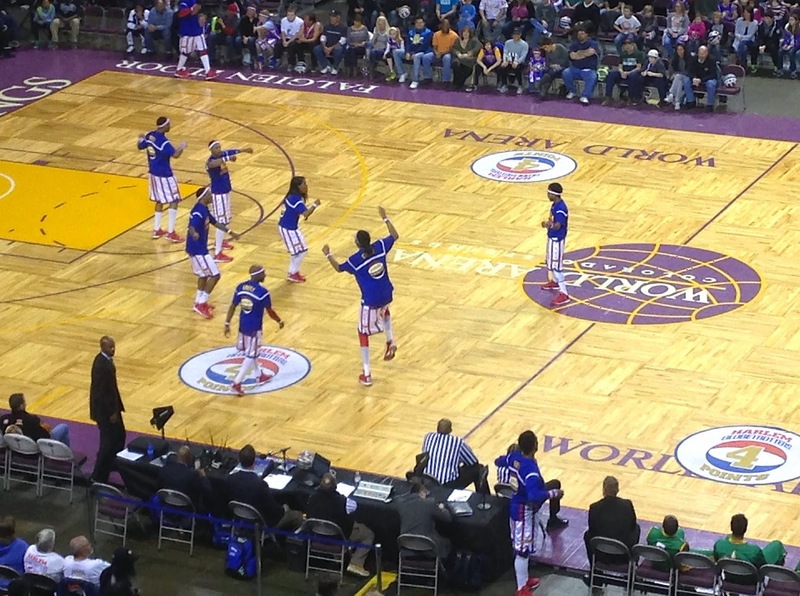 The Globetrotters really are as much fun as advertised. The boys had a great time at the game and all three of them said they would love to see it again. We definitely would recommend it for elementary aged kids! Check their website to find a show near you, it's not just in Colorado! Disclosure: We received tickets to check out the Harlem Globetrotters as part of my affiliation with USFamilyGuide.com. All opinions expressed are my own.